Muriel Dobbin offers a review in the Washington Times of John le Carre's The Pigeon Tunnel: Stories From My Life. John le Carre has led an enviable life roaming the secret world of spies and becoming famous by writing about it all. So, Paul, I think I remember you being a big LeCarre fan. Will you be reading this one? 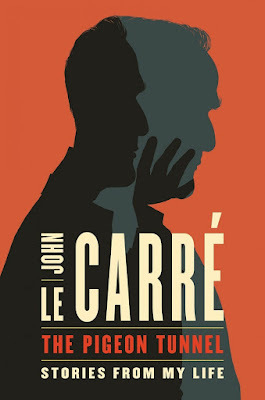 What are your LeCarre favorites. I might begin rereading his work from the beginning: Call for the Dead (one of my favorites).